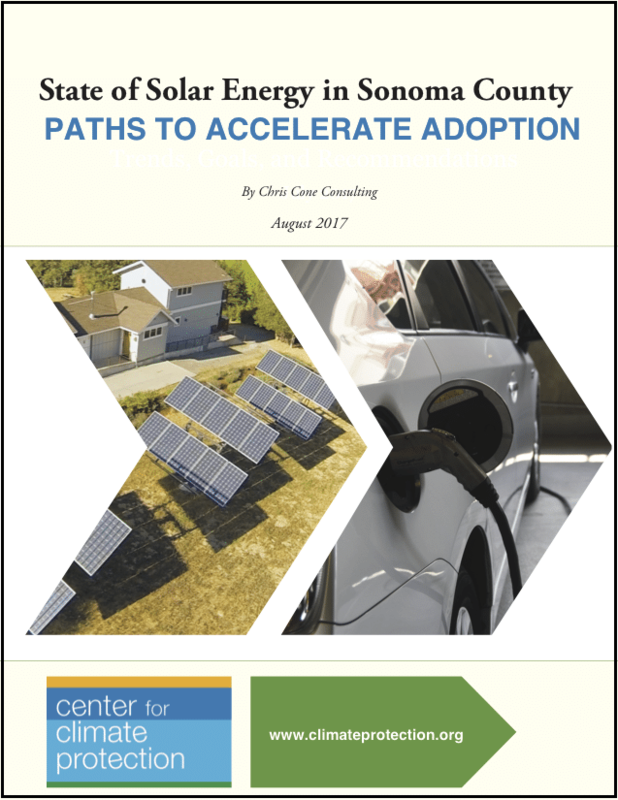 This white paper – by Chris Cone Consulting – focuses on solar in a Community Choice Energy context and the degree to which solar has evolved to an integrated component of decentralized energy systems with multiple energy technologies. In short, solar plus. 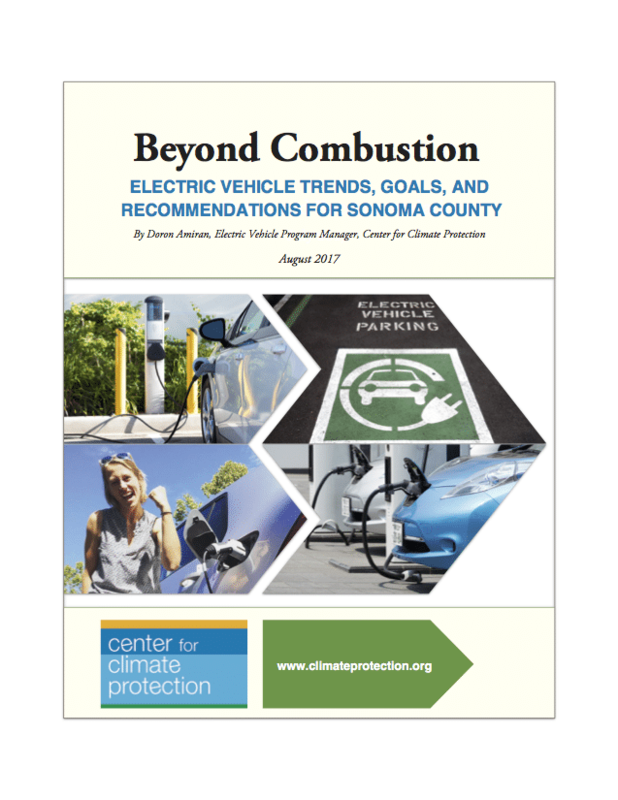 Electric vehicle trends, goals, and Recommendations for Sonoma County, by Doron Amiran, Electric Vehicle Program Manager, Center for Climate Protection. 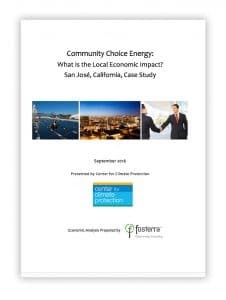 Community Choice Energy: What is the Economic Impact of Local Renewable Power Purchasing? 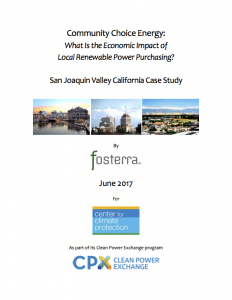 A San Joaquin Valley California Case Study, prepared for the Center for Climate Protection by Ben Foster, Fosterra Clean Energy Consulting. 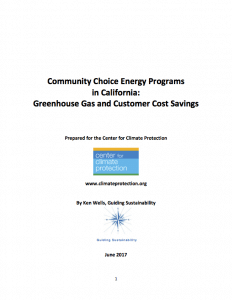 Report and underpinning CCE GHG and Cost Impact Forecast Spreadsheet prepared for the Center for Climate Protection by Ken Wells, Guiding Sustainability. 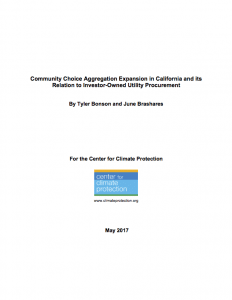 Report and underpinning CCA/IOU Load Data Spreadsheet, prepared for the Center for Climate Protection by June Brashares and Tyler Bonson. 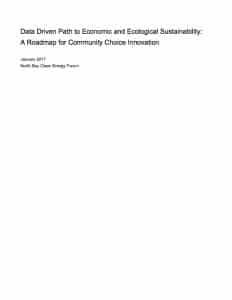 This white paper – authored by the North Bay Clean Energy Forum – describes the unique role that Community Choice Energy agencies can play to enable local communities to transition from natural gas towards renewables.